Doodlebug Design Inc Blog: Attention Local Doodlebug Fans! Hey local Doodlebug Design﻿ fans - we are so proud to be a part of a wonderful retreat from a local scrapbook store Heartfelt Hobby and Craft﻿ this weekend. They have opened up all of their breakout classes to the public - you do not need to be attending the retreat to be able to take the class. Head on over to the Heartfelt site for more information on how to sign up. 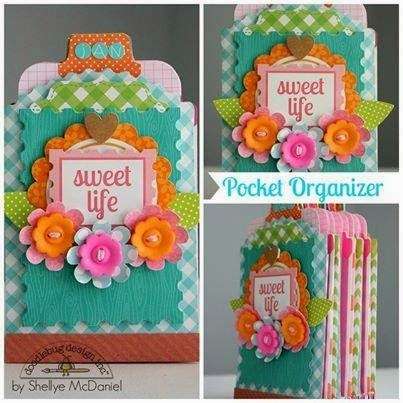 Don't miss out on this wonderful opportunity to take a class featuring this darling project from Design Team Memeber Shellye McDaniel. Spots are limited to the first 25 people who are signed up. The class is this Friday, March 21st from 3-5 PM at the Red Lion Salt Lake Downtown location.Cost is $20.00 Taught by local Doodlebug Design Team member Tya Smith﻿. Please contact Heartfelt Hobby and Craft at 801-233-9028 or click here if you have any questions or would like to sign up for the class. We would love to see you there! DELIGHTFUL project - everyone in the class will LOVE IT!!! This is gorgeous - pinned for a future "hopeful" project! I so badly wanted to do this but I fell recently and hit my head! I have got a concussion and I won't be going anywhere for a few days!! Shellye did an amazing job and I was looking forward to meeting Tya! !